Went to Austin for a couple of days to the National Safety Council Convention and made a visit the State house. I made a few observations. In Texas a rifle is considered to be safety equipment. A few of the exhibitors were having drawings in which a rifle was the first prize. If you are a CHL holder you will get treated special and allowed to take the short line and avoid the metal detectors when you visit the capitol building. 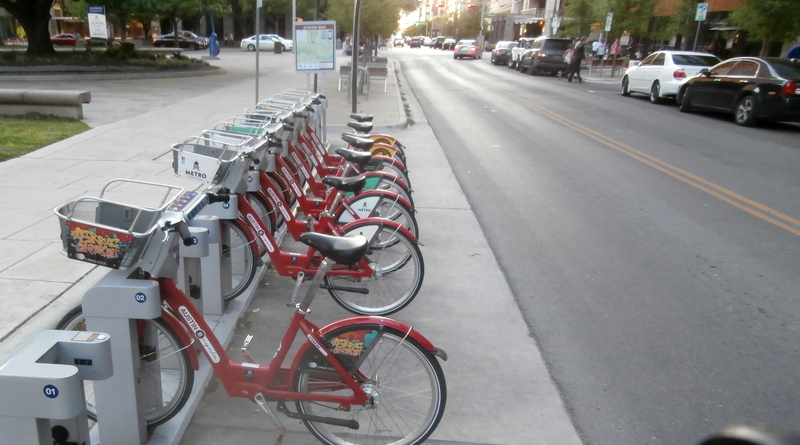 They love their bicycles in Austin. Great entertainment can be had sitting on a bench on 6th street. We had finished dinner and heard a “Temptations” group across the street. We listened to the concert for about an hour .. Very nice. The blue bonnets were out in force.